Characterised by a pioneering perfect balance mechanism invented in the 1930’s and an engaging dynamic form, Anglepoise® produces the ultimate in flexible and functional decorative lighting. From the creation of their iconic Original 1227™ desk lamp and the introduction of Sir Kenneth Grange designed Type Collections to their recent collaborations with esteemed British designers Paul Smith and Margaret Howell, design integrity remains at the heart of this progressive British brand. Anglepoise import their products from manufacturing sites in the Far East directly into Southampton Container Port, the first call for the largest container ships plying to Northern Europe. Our Proximate DC’s store, order process and pre-retail for onward B2B and B2C distribution across the UK, Eire and Continental Europe. The Southampton based DC’s offer Anglepoise time and cost advantages over their competition, afforded by our efficient warehouse operations, across all three sites, Import Services provides the compelling option for fast moving consumer goods into both retailers and direct to consumers’ homes. To facilitate integration with Amazon’s order processing, Import Services’ IT department works with Anglepoise to ensure their vendor codes and deliveries are aligned in an efficient supply chain. This integration demonstrates collaborative effort between vested parties. 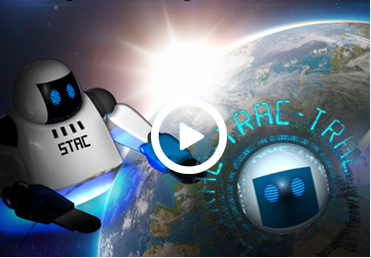 Face-to-face meetings maintain a One Team approach, with the added benefit of TRAC technology linking intelligent networks of supply chain services to meet the new world of retailing. The Client Portal provides real time product order flow information enabling Anglepoise to TRAC product movement, stock levels, deliveries and PODs 24/7 and to make informed decisions from anywhere via Import Services’ web based TRAC portal. As TRAC is now an integral part of Anglepoise it is important team training is on-going as the innovative system is also evolving constantly. Fifteen members of Anglepoise staff inducted initially supported by the Key Account Management at Import Services. • Component services and corresponding charges listed at order level, to enable margin focus.